Brookings, SD (April 25, 2018)- ​Just recently established, the Brookings Photo Club hopes to provide an active social, educational and fun way to meet local photographers, learn from each other and be challenged in group meetings. 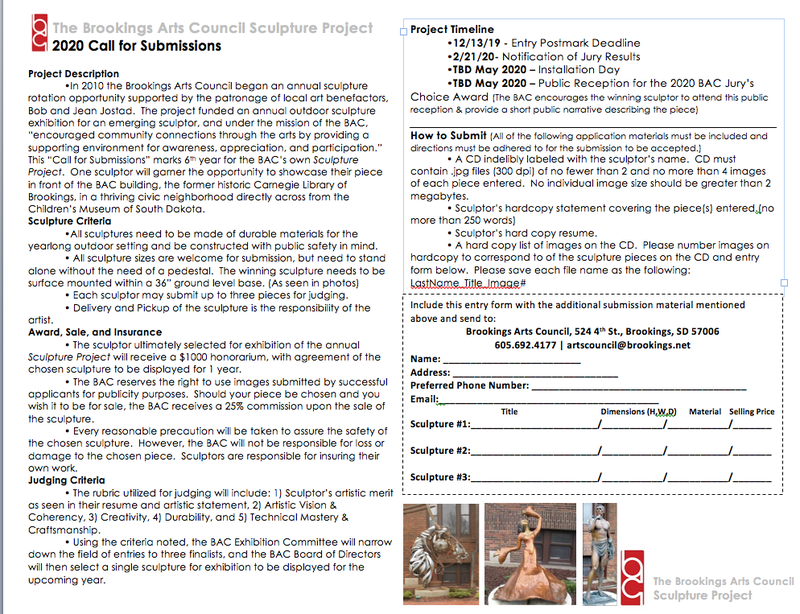 Meetings will be held at the Brookings Arts Council twice a month in the classroom; 2nd and 4th Mondays, with doors opening at 6:30pm. Meetings will last approximately an hour or so, with the meeting to start about 7pm. The intent of the club is to provide a platform for enthusiasts and professionals alike to fine tune their craft, find inspiration and move their photographic vision to great heights. The group is seeking members to join them at the first meeting on April 30th. The first meeting will center around: introductions, photography interests and backgrounds and developing a club name. Interested individuals should plan to attend this first meeting and being a part of the foundation forming of the club as well as create community with other photo enthusiasts!